It all starts with a genius idea. Australians spend 35 hours digesting digital content each month, and 33 hours of that is through smartphone apps. But it's a crowded market teeming with brilliant ideas that compete for users' attention. So how can someone with a fresh idea cut through? And what's the secret to making a successful business from an app idea? We asked four entrepreneurs who have created popular apps to give us their best advice. 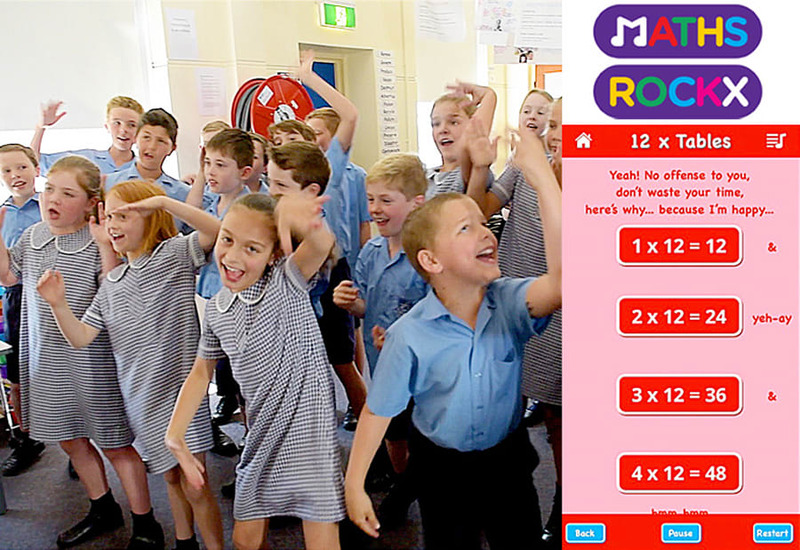 Primary school teacher Jo Otto developed her app, Maths Rockx, out of a simple need to teach children their times tables. In the classroom she did this effectively using popular music from P!nk, Pharrell Williams and One Direction, and the great response from the kids, their parents and the school spurred her to create the app. 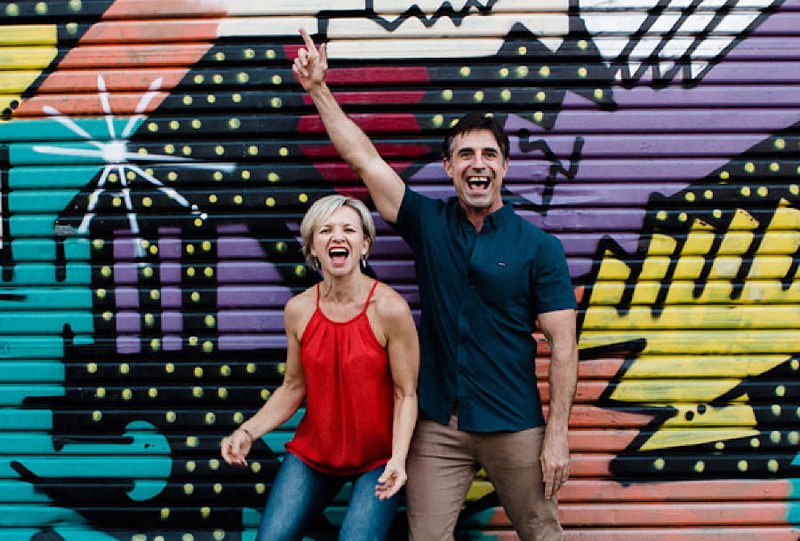 Jo Otto and her husband have spent $100,000 rocking out to her new app, Maths Rockx, off the ground. "Children need to learn their times table facts by practicing and learning them off by heart -- it is as simple as that," she told The Huffington Post Australia. "I built the app to do just that; teach kids in a fun way to learn their tables. Maths isn't supposed to be cool -- it is now!" Otto spent $100,000 developing the app for market, a lot of which was spent on licencing fees and ongoing royalties for songs, but since launch Maths Rockx has had in excess of 95,000 downloads and has been the number one educational app in Australia and is top three in New Zealand and the UK. There isn't a golden rule on how to find a tech-savvy developer who can see your vision, work with you to complete it and stick to deadlines. Some entrepreneurs already know developers, some were referred by friends while others simply used Google. Serial entrepreneur Dale Beaumont is the founder of business education app BRiN, which offers 500 free videos to small business owners and aims to boost that to 1000. He hired a developer referred to him, and now has a team of five, but says it was a learning curve. Dale Beaumont created BRiN to be a personal business coach in your pocket for startup owners. 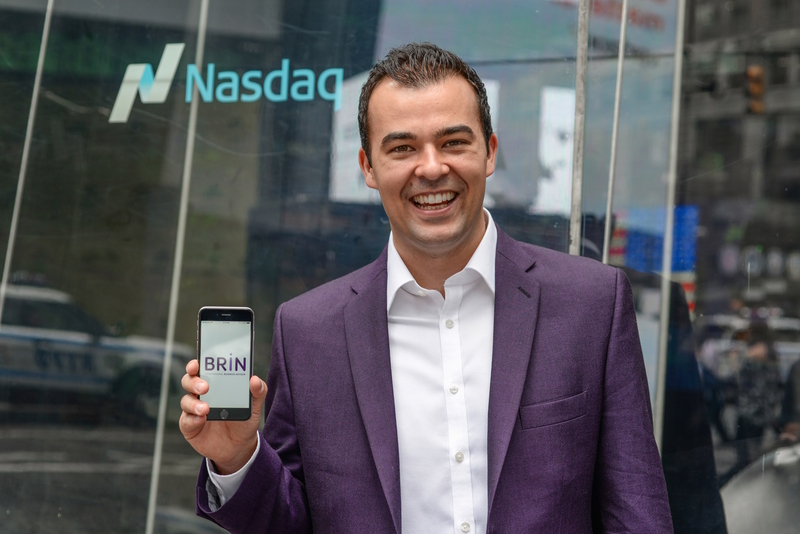 "As BRiN was my first app I had a lot to learn," he told HuffPost Australia. "UX, UI, AOS, JAVA, CSS and dozens others were all new terms to me, so there were many late nights getting up to speed with what they meant." He offers a great tip to work effectively with developers -- learn a little about their craft. "A useful course I did along the way was Programming for Non-Programmers," he said. "This taught me the basics and meant that I could hold a conversation with my developers and communicate my vision." Daniel Charlesworth and Joel Anderson co-founded Fan App, a platform that connects users according to their interests. Charlesworth had the idea after having difficulty finding people who liked the same things he did -- namely World of Warcraft -- and developed Fan App to encourage people to get offline and meet in real life. Joel Anderson, left, and Daniel Charlesworth are still working full time jobs while they develop Fan App, which hooks up like-minded people (but not in a romantic fashion). The pair had a very clear idea of how the app needed to work in order to be successful. "A great app is one that is simple and user friendly," Charlesworth told HuffPost Australia. "It needs to be familiar enough that users can easily work out how to navigate their way around, balanced with uniqueness and a point of difference that solves a problem that other apps do not." The Fan App has been very well received, and was accepted into Facebook's FBstart Bootstrap program because of "its impressive development so far and its potential for continued growth". Beaumont says more than 80 percent of apps are used once and then never used again, so it's critical that yours gives users a reason to come back time and time again. "This could be because your content is self-updating, you offer people the chance to earn points or credits or you unlock certain levels based on consumption," he said. Mary Jane Bulseco and Paul Bedwell went through several shifts when developing their social media app, clapit. It's an algorithm-free platform where users crowd-source content from other networks and online, pulling all the best ("clapped") content from Facebook, Twitter and Spotify into one streamlined newsfeed. Clapit co-founders from left, Stan Tsvirko, Mary Jane Bulseco and Paul Bedwell say it's important to be agile when developing your app. "When creating an app, you learn to tread that fine line between keeping things structured and always being agile -- it's important that you're ready to shift quickly and respond whenever necessary to a challenge," said Bulesco. "Reflecting on the process, clapit has evolved so much in every aspect. In technology, you are constantly pivoting and we believe in constantly working with the feedback we receive from users." Any app entrepreneur will tell you there's no substitute for user testing -- it's imperative to either create it alongside target users or stave off the release until it's close to perfect. Beaumont said his team adopted "vigorous user testing" to ensure the app would work effectively across all devices, as the nature of his content meant many potential pitfalls. "When it comes to technology things aren't always as simple as they seem," he said. "In our case things were particularly difficult because we have over 500 videos in our app. Each of these videos has to be encoded for iOS and then a completely separate encoding process is required for Android plus you have dozens of phones in the marketplace." Responding to user questions was critical to fine tuning the app -- and capturing good reviews on the app stores. Charlesworth said there's a few things he'd do differently with Fan App -- they thought it would take 16 weeks to complete but it ended up being five months. "Our biggest mistake has been making announcements and then having issues arise that caused the project to be delayed," he said. "We would probably have tested the app for longer before launching it to the public with less bugs." Long hours, steep learning curves, blowing out budgets and timeframes -- developing an app isn't all sunshine and lollipops. "Once you get started, it's hard to even think about slowing down," said clapit cofounder Paul Bedwell. "We might have slept a bit more in preparation for the launch!" His business partner Bulseco agrees. "It's a full time business for us and the team we've begun to build," she said. "We had a fair idea of the amount of work it would take, but it's really all-consuming." Kids are loving rocking out to their times tables, but developing the app was a tough gig for Otto. Otto says Maths Rockx has taken a lot of energy to create. "From scope creeps, to complete changes in direction, to day-to-day dealing with strange customer enquiries, creating an app is not for the faint-hearted," she said. "The initial stages can be very trying, frustrating and even heartbreaking." To make a app profitable you need startup funding to keep you going while you develop it -- whether that's personal savings or an investor. Then you need to decide if it's going to be a paid or unpaid app. Bulesco and Bedwell are adamant they want clapit to remain free -- and have revenue streams under their belt. They are in a good position too -- raising $2.57 million in seed funding for the app before launching in February. Charlesworth says the pair will raise funds for FanApp through investors and other streams -- but never the end user, saying they are opposed to paid apps. 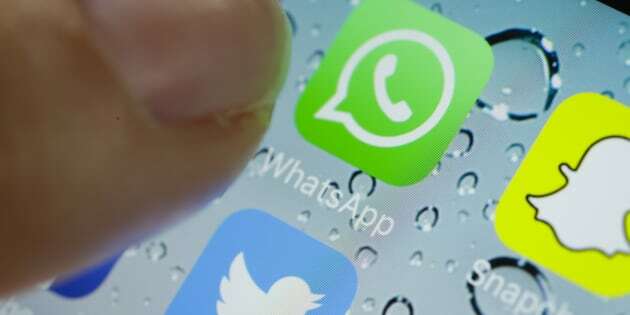 "With all the other great free social networking apps available why should people have to pay money just to connect with other people who share their interests?," he said. Otto has released a paid version of Maths Rockx and a free version with in-app purchasing. But there have been technical headaches and if she had her time again would probably only release a paid version. Because of the expense of song royalties, her paid app is on the high side. "For us to make money on the app we needed to go into the market as the most expensive times tables app out there -- a tough starting point in a world where people are, in our experience are generally reluctant to pay for apps," she said. "We have enormous faith in our product. Parents and teachers are very excited about the app, so this gives us faith to further invest in ourselves." Beaumont says BRiN is free for users now, but watch this space. "Generally speaking the ideal model for apps is what has become known as the 'freemium' model," he said. "This is where you offer your app for free to build up a base of loyal users. "Then once you have reached a critical number of users and you know exactly what they want and are happy to pay for, you can then offer a premium version of your app."